Julian took silk in 2018 following many years as one of the leading juniors in his principal fields of practice. He is now forging a busy and successful practice in silk. The core of Julian’s practice lies in property, commercial and professional liability litigation. Often his cases straddle these different fields. Julian prides himself on handling often complex cases in an approachable and user-friendly manner. Persuasive advocacy, both oral and written, is central to Julian’s approach in every case. 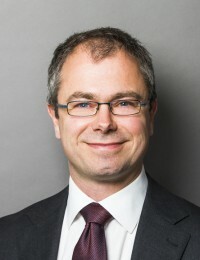 Recent editions of the leading directories have described Julian as “dynamic, forward thinking, progressive and engaged”, “an instructing solicitor’s dream; he is unafraid to stick to his views, and holds his own against leading silks”, “phenomenally efficient and has a very good knowledge of the law.” “personable and easy to get on with. A very good team player.” He is “superb value for money” “brilliant at finding and articulating strong arguments”, and “provides comprehensive advice and is extremely user-friendly”. Julian is again listed in the Who’s Who Legal: UK Bar 2018 for Real Estate. Julian welcomes invitations to act on expert determinations to determine disputes within his areas of expertise at the request of parties to disputes.